From questions on Cars to questions on Technology, there was almost every topic covered for all the Quiz lovers out there in the Quiz which was organized by IBS KOLKATA that was held in Rotary Sadan on Friday. There were 40 teams who were all excited to participate in the Quiz. The colleges who participated were Presidency University, Medical College,Jadavpur University, Loreto College,Indian Statistical Institute to name a few. 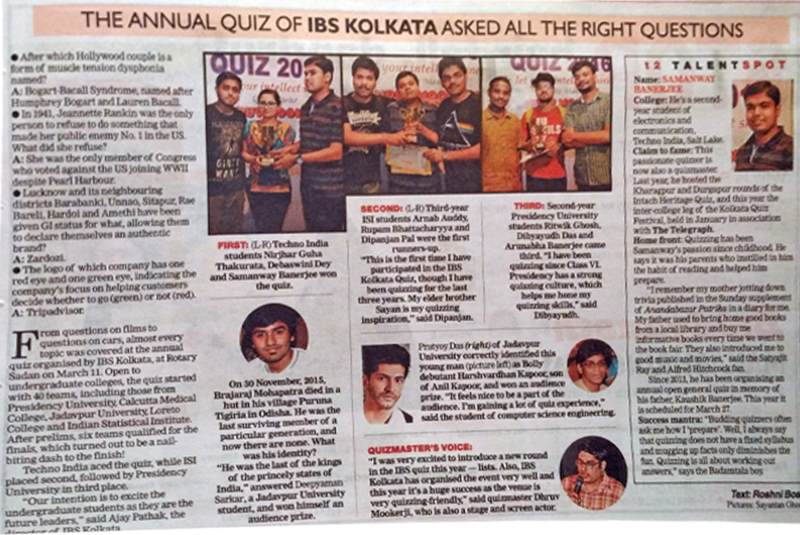 The students showed such great enthusiasm that students poured in from outside Kolkata to participate too.This was the 8th year of the Quiz being conducted by IBS Kolkata for the Undergraduate Colleges. The Quiz started with the prelims followed by many interesting rounds till the final round. The final round was a thrilling nail biting round. Techno India aced the Quiz and won the First Prize and were elated.The Team comprised of Debaswini Dey, Samanway Banerjee and Nirjhar Guha Thakurata. Indian Statistical Institute students Dipanjan Pal, Arnab Auddy and Rupam Bhattacharya grabbed the Second Prize followed by Presidency University students, Dibyayudh Das,Ritwik Ghosh and Arunabha Banerjee who came third. 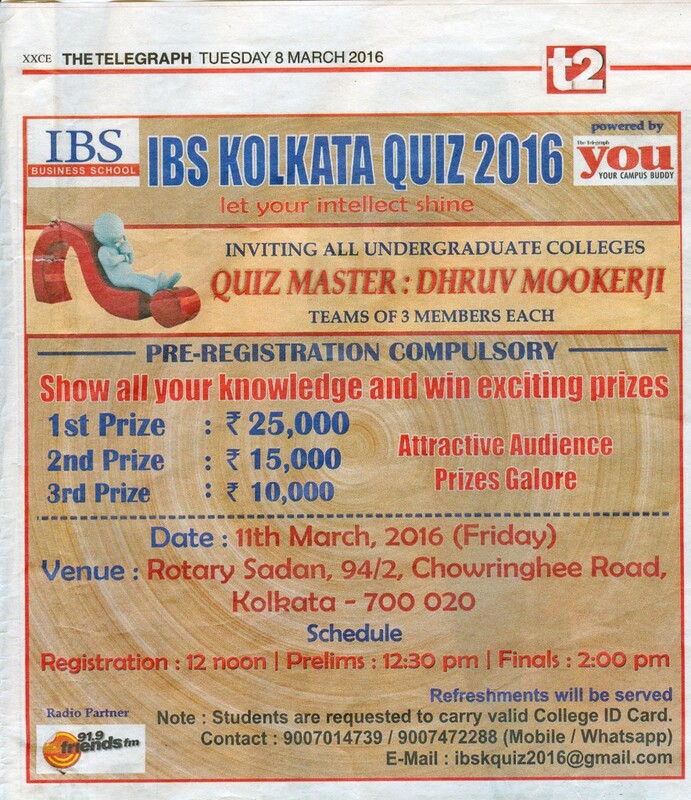 As Leonardo Da Vinci said, “The knowledge of all things is possible” So keep Quizzing…. One of the best decisions which helped me to know myself better, provide a platform for growth and experimentation was to join IBS, Bangalore. It’s been such a great journey so far. A thrilling experience altogether, it’s exciting to see the zeal, energy and motivation the students bring to the campus. 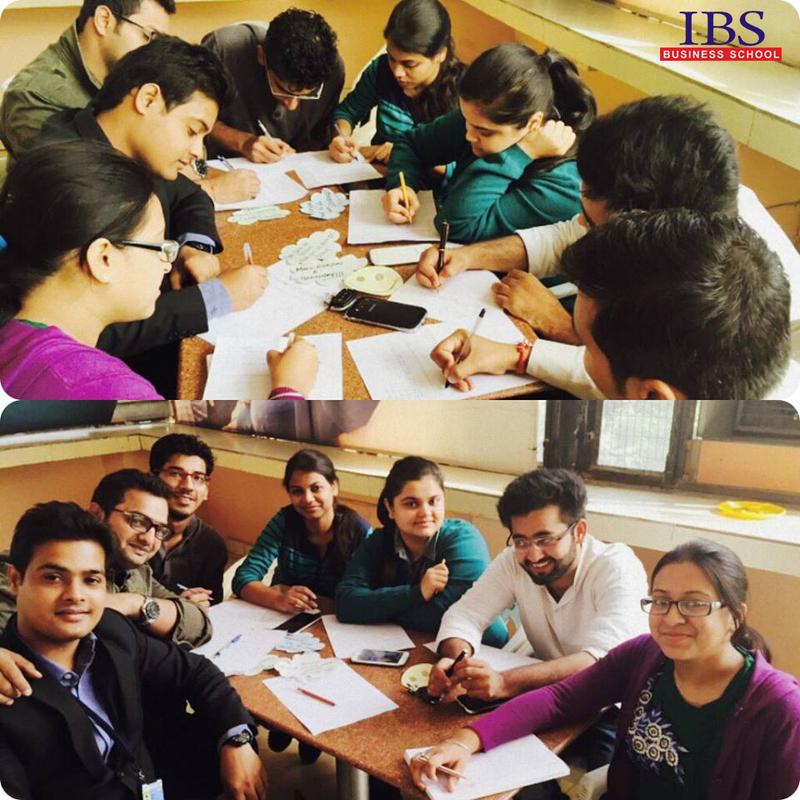 We create the environment of enjoyment, learning, knowledge sharing and innovation at IBS. My experiences from the very beginning had been very special- be it the first day at the campus, the introductory sessions to the final semester! It’s been a pool of developments and continuous learning throughout. I’ve benefited and enjoyed each moment spent. To quote a few- friends form the part and parcel of our lives, at IBS we all mingle with everyone thereby creating a friendly environment. Our faculty, I would say is the most dedicated and friendly one. They are always approachable, thriving with new ideas for the students, willingness to help in each way helps in developing the culture of our college. 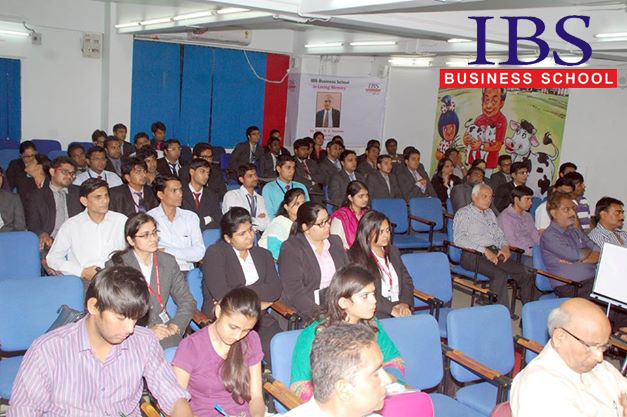 IBS gives us the platform to showcase our skills not only in the prescribed course but other activities also. We get wide exposure by participating in the management and cultural fests of other B schools as well. IBS hosts number of fests and activities to help us explore our skills and grow ourselves not only intellectually but culturally, at the same time enjoying ourselves to the core. We have Tarkash and Manthan as our business fests, Art beat, festival celebrations, sports events and various parties to keep us engaged and charged all the time! This has helped me to understand my talent, expertise and areas of interest which could be developed over a period of time. One thing without which my experience remains incomplete is my internship with one of the Big 4 Companies. I can rightly put it as “an internship of life time” and thank IBS for providing me an opportunity to get the feel and look of the corporate world, learn new things and develop myself. Another aspect which I would like to focus on are the teaching techniques adopted by the faculty, focusing more on providing the corporate exposure, assignments with filed visits involving industry interaction and providing us with an opportunity to leave a mark on them by our work and learn as much as possible. The faculty helps and guides us with our moves and actions making us more presentable and meet the required standards. With all the everyday learning (as it is a continuous process) accompanied by fun and frolic, with all the fests and other activities at IBS makes me more confident for what I stand for, speak my mind and achieve the desired goals, helping me to grow and strengthen relations each day! I still remember the day when my flight touched the ground at Rajiv Gandhi International airport. It was May 28, 2011. I don’t remember the exact time but it was dark outside. I had mixed feelings in my mind. I was excited and scared at the same time. Excited because I was going to start a new journey of being in a B-school and scared because “I WAS GOING TO START A NEW JOURNEY OF BEING IN A B-SCHOOL”!!!!! Let me tell you all one thing very honestly, when a student enters a college, the first thing he sees there is the infrastructure and very importantly “the hostel”. For me, being in IBS was a big relief. Coming from a college where I had to share my room with two other girls, getting a single sharing room at the same price was like getting an iPhone at the price of micro max. On top of that, WiFi enabled campus, two store libraries with almost all kinds of books, two canteens, two mess’, reading room and 68 acres huge campus away from the noise and pollution of city, were just like icing on the cake. It will be wrong to say that the two years that I spent in IBS only changed my personality. What I am today is completely different from what I was two years back. A lot of credit for this goes to the teaching methodology at IBS. Being a shy girl from engineering background, usually sitting at the back corner bench of my classroom, the first two days at IBS were horrifying. As soon as the teacher entered the class I came to know that forty percent of total marks come from class participation. I still remember his words when he distributed marketing cases. “We are not here to spoon feed you. You are going to be future managers. Understand and analyze the case and then we will have class discussion”. What horrified me that time became a blessing in disguise for me. The case method not only improved my confidence, my communication skills but also made me understand the concepts in the practical scenario. Needless to say that reading the real life stories of failures and successes of big corporate houses actually improved my general awareness which helped me a lot during placement interviews. One thing that I really liked about my college was its extracurricular activities. I mean it is not easy to find more than twenty clubs in one college. A club for marketing, finance, hr, debates, investments, gaming, movie, cultural activities, advertising, adventure and the list goes on. Working for my club actually gave me a snapshot of what my life would be in the corporate world, because I learnt how to work in a team, how to be a leader and of course how to do some healthy politics. You get to learn and enjoy at the same time. All India sports meet like Aaveg and cultural fest Trishna also gave me an opportunity to compete at national level. I dint even realize when those two years in IBS passed. Now while writing this article it feels like it was yesterday only, when I used to attend college from nine to six, read and analyze cases for next day at evening along with my friends, attend my club meeting to discuss next day activities at 8, have dinner at 9:30, take a walk at 10 and finally come back to room and sleep by 12. Those were the best two years of my life and I thank IBS for making my life in a b-school such a memorable one. We celebrate the highs with friends and look for a group of people in our lows. It is good to share every walk of life with a bunch of people close to us. On the same premise, professors teaching the MBA course came with something called “Group Projects”. If you think that working in a group is division of work to achieve the ultimate goal before deadlines, then Hold On! There are lot many objectives behind grouping people together to carry out work. Let’s discuss some of them. 1.Develop Leadership Skills: You definitely get a chance to be a team leader at least once for any assignment or project. As a leader, you have to take on the role to delegate responsibilities to team members, to make sure that they don’t miss deadlines, if they are facing any issues in completing the task assigned to them etc. If they are facing any difficulty, you should be the point of contact; if there is any clash between group members, it is you who should solve it. So you see, it is just like a team in any corporate where you get an opportunity to make your leadership skills stronger. 2.Idea Sharing: The More the Minds, the Merrier it is. There comes a bump in the smooth ride of project making when you run out of ideas to carry the project any further. You reach a deadlock situation, which is exactly when group work proves advantageous. If one exhausts all ideas and goes blank, there is always another group member to pour ideas for developing and carrying the project ahead. 3.Less chance of failure: Well this one is for the ‘free riders’. Professors along with developing the team spirit try to knot few free riders along with other back breakers. They know that in case the free rider cannot perform in the last minute then there are always other members in the group to back them up by completing the work on time and hence save them from failure. 4.Continuous Learning: When different minds are involved in completion of a task then are very high chances of learning something new from everyone. Different people come with different set of skills; for instance, if one is good in preparing presentation then other might be good in presenting them. There is always some learning imparted from every member of the group. 5.Networking and Socializing Opportunities: There are more than 20 subjects throughout the entire course of MBA at IBS. Each one of them has around two to three group projects. Do the math and imaging meeting new people in every project, networking with them and being a part of this enormous social troop. This prepares you for a corporate life where every project is done in groups. 6.Decrease decision making time: Taking decisions, regardless of whether they are big or small, can be time-consuming when done alone. It can be anything from finalizing some section of the project, what should the project title be or dividing the deadlines for different stages of the project, it takes time when one is thinking alone. But when the entire group sits together and brainstorms on the same, the time is significantly reduced. 7.Working Out of Comfort Zone: While dividing project responsibilities, you sometimes get assigned some task in which you have no prior experience. For example you may be extremely good at reporting work but this time around you are entrusted with the task of making the presentation. You might be a little uncomfortable initially but since the group relies on you and expects you to accomplish the task at hand, you figure out a way to do it. So group work helps you in taking baby steps out of your comfort zone, which is beneficial in the long run. 8.Create a Working Environment: When working individually you take more breaks than required and manage to get distracted by something or the other, thus taking longer to finish the project. In case of a group project if you are sitting with a group and working then the chitter chatter with the group itself act as a break and keep you glued to your seat. 9.Sharing of the resources: Be it monetary resources or non-monetary ones, once involved in a group, each member shares their resources for completing the project successfully. It completely eliminates the pressure from one’s head to contribute something from his or her side entirely. 10.Access to more Information: If the topic of given project is completely new for the group then proper research needs to be conducted to comprehend the project and complete it. With information search done by the group members, everyone can pool in the intelligence they have on the project and attain a deeper understanding of it. In that way if someone didn’t know about a certain aspect of the title of the project can get to know about it from the shared pool of information. 11.Growth in Individual’s Overall Performance: Majority of assignments in MBA is conducted in groups. With other people to shoulder the burden of work, you have an equal eye on each and every discipline. You can devote equal time to other subjects as well. In such a case you can observe a raise in your overall performance. 12.Identify and strengthen the weak spot: Amongst all the group projects that you are a part of, you get to be a leader somewhere and a follower elsewhere. You get your favorite section to work on in one project and other time you are a novice working on a new section. In the middle of these projects you can easily identify the area where your performance is relatively lacking. You can pin point your weak area and get to improve the same. 13.Improved Relationships: When people come together to accomplish something they become an emotional and moral support to each other. As a member of a group, it is important for one to cultivate ties with every group member. It is not only for the benefit of completion of task in a co-operative manner but it might also gainful for the career advantages. Interpersonal learning or Group Learning is a beneficial learning strategy provided that one takes an active part in a group without taking undue advantage of the same. Lastly, it is always fruitful to come together for a common cause and learn from a plethora of things and help others with your skill set. Contributed By : Hasan Ali Gumani (Class of 2014, IBS Hyderabad). The art of mentorship is yet to be fully tapped into and explored by the present system of management education in India. Post-Graduate programs are the penultimate stepping stones for students entering the ever evolving corporate world. The importance of mentoring at this crucial stage has been downplayed, if not ignored, by the system at large. After 15+ years of formal education, students are thrown into the workspace to explore and fight their way towards a successful career. At this juncture it becomes imperative to have some sort of guidance from experienced seniors. Management programs today focus on most aspects of holistic development for students, but proactive mentor ship seems to be missing. What is proactive mentor ship? I consider proactive mentor ship as the style of mentoring, wherein the mentor constantly tries to engage the men-tees into communicating their goals and desires, to subsequently provide meaningful advice aimed at helping the men-tee. The keywords being: Constantly, Engage and Communication. As someone who has not yet completed 1 full year of working, I believe I’m still a student at heart. With this knowledge I understand that students as a group are quite a tricky bunch of people. The general method of imparting knowledge (Read: Lecture based classroom learning culminating in a 3 hour exam) has sensitized students and each and every student develops a unique coping mechanism. Some may use cellphones during the class, some might doodle out their elaborate fantasies and some just wait to enjoy their class-nap. The point I’m trying to make is that students can’t be force-fed information. It’s futile to assume that when students reach the level of post graduation they will suddenly change their behavior. Keeping this in mind, it is of utmost importance for the mentor to constantly try and guide the students. Most mentors have an understanding that students will approach them during crisis’ (Placements, choosing specialization, Internship, etc) and they will help them then. However, this approach is not fail-proof. Some students might not approach anyone just because they have not been doing it since the start. To avoid this conundrum, a proactive mentor will constantly speak and guide the students from the start. It should be communicated to the students that the mentor is always available and can be reached through email, facebook, sms etc at any time. In an era where boundaries are irrelevant due to the social media boom, mentors must exploit this opportunity to be present for their mentees whenever required. Another important quality of a proactive mentor is his/her ability to engage with the students. Since their schooling days, students in India are expected to respect their teachers/elders and maintain discipline in their presence. When working in a company, this behavior is translated to include the manager/boss. So, a level of apprehension will always be present with students while interacting with mentors. A proactive mentor has to understand this and constantly engage his students. He can do so with funny stories, incredible insights, personal experience and almost anything which will put the students at ease and make the mentor more approachable. Finally, a proactive mentor has to learn to effectively communicate with his students. Unless he/she can do this, students will not be able to express their goals/desires clearly enough to enable guiding them. Effective communication is more difficult than it may sound. As most students and mentors have completely different fields of experiences’, the onus is on the mentor to understand what exactly the student is trying to communicate. Students will develop a fair idea of mapping their interests/skills to industry/profile they could start their career with. Students will be better prepared to deal with the corporate lifestyle and the level of commitment and accountability required. Proactive mentor ship will create an environment of knowledge sharing in the campus. Attrition rate of companies would come down as students are bound to take better informed decisions. Same Curriculum, Same MBA Degree, Different Salary Packages – What makes the difference? A degree certificate, which is nothing but a piece of paper indicating “Mr ABC passed MBA examination of XYZ Institution in 1st Division with distinction and his specialization was in Finance” etc. A superior you who is heavily loaded with knowledge and information which can be readily recalled and used when required. High degree of skills in problem solving, use of computers and other techniques. Good habits of dedication, hard work and determination. Sense of owning responsibility and meeting deadlines i.e. target dates set by the organization. People skills of team working, leadership, synergy of working, effective business communication and conflict resolution etc. Strength of character, honesty, integrity and ethics etc. Ability to function with right attitude at different times especially under difficult and trying conditions. Ability to adopt an approach making learning and growth as life long process. The fact is that all these things together determine what your starting salary package would be and how far high you would rise in your professional career. Knowledge and skills are very important but ability to own responsibility and deliver results is far more important. It requires a complete package of qualities like attitude, feelings and emotions, enthusiasm, ability to rise from setbacks, imagination, vision and foresight, and most of all ability to function effectively amongst people of all types. Deadlines and Prioritization: Ability to meet deadlines and prioritization are important across any industry. A successful manager is one who can achieve a series of deadlines i.e., target dates for important milestones. For this purpose he would prioritize all his actions to fall in line with the goals. Without proper prioritization hard work will go waste. A Clear Objective Statement: The most difficult question to answer during a job interview is, “What is your professional objective?” This is so because we don’t introspect and think regarding what we want to be in life. Those who engage in deep thinking would have crystallized their thoughts and ideas and be able to frame the objective statement as they require. Leadership: It is a key quality which cannot be easily taught. It can be learnt by the individual through constant endeavour and well planned experiential learning. However, all students exposed to same experiential learning modules will not develop leadership quality to the same extent. MBA programs teach graduates core business skills, but cannot ensure equally developing their leadership skills. Honesty, Integrity and Ethics: Ethics is about being guided by your innermost values and to connect the concept of ethics with your own inner beliefs. Depend on your basic grooming and on doing more than your normal call of duty. Developing a sense of achievement at the school will give you an inner confidence to steer you move through life. Corporate world and host of politics that exist there should not baffle you or derail you from your core values. Moral dilemmas do not hurt you if your basics are clearly grounded. 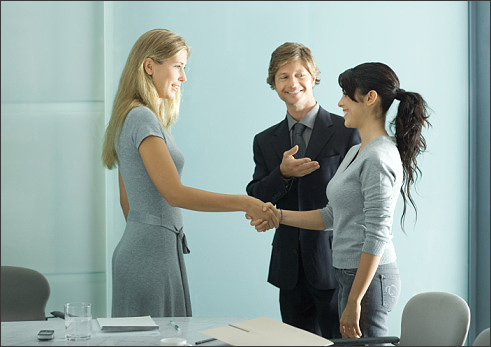 Networking: An MBA institute provides best ways to network. The program gets you access to top professors at business schools and give graduates opportunity to network with other professionals.Today, a lot of networking is done through online channels, and it’s becoming increasingly crucial to have networks across a range of sectors, in order to spot new opportunities and possibilities for interconnection. MBAs may have the skills to deal with this new world of networking, but we cannot assume that they will automatically be able to network efficiently just because they are MBA. Teachable: A person’s attitude towards new learning at all times in life is far more important than his track record of earlier learning. Willingness to learn and speed of learning both are crucial for faster rise in professional life. Communication: Effective business communication is one basic quality required for success in professional career. It includes ability to articulate ideas orally and in writing and also to listen attentively to discern key ideas of other speakers. Teamwork: Ability to work with other people is important. It involves ability to motivate and guide people. The business world requires that we work with people and use every opportunity to strengthen their relationships. Though professors are responsible for inducing and encouraging teamwork, it is the individual student’s approach and attitude that makes the difference. In the real world you cannot choose who you work with. You may be working with people with different attitudes and values. You must learn to adapt and embrace. Look for opportunities to engage with different people. Understand group dynamics and how people react and interact to each other. Critical Thinking: Thinking is hardest job on earth and it is said that men will take lot of pains to avoid thinking. In these days of Google searching it is easy to look to internet for every possible information and idea, but it really does not give us the information as we require. Critical thinking is a step further i.e., it is creative and innovative thinking. To develop this faculty the MBA students must understand the significance of thinking and put in prolonged thinking sessions in order to develop the habit of thinking. Meditation is a powerful technique which clears the mental cobwebs and the mind’s vision becomes un-blurred. Potential to Fit into a Role and Grow: No two corporate jobs are identical. It is necessary for the aspirant to align his thinking to the approach practised in any given organization. Attitude: Many MBA graduates have reasonable expectations for salary and responsibilities in line with their experience, but may have the wrong attitude towards the company. Individual’s future goals and expectations must be aligned to company’s promotion policy and salary structures? Contemporary Issues: Organizations today seek skills such as innovation, creativity, fundraising, marketing, entrepreneurship and flexibility to respond to an ever-changing world. A successful manager is a focused person, has a clear goal and it shows in his performance during the career. Decided and Impacting: You need to be decision-maker. Use high focus, clarity of mind, analyse and decide. Looking for support, but ‘you’ decide. When you make a positive impact in your workplace it will not go unrewarded. Agent of Change: Become an agent of change for the organization and society. Change towards improving processes is the only thing which enables organizations to sustain and grow. Innovation and change for the better is the key. Learn and apply Japanese techniques of total quality management (TQM), Lean thinking and Kaizen continually. In this topic, I will share my experience with all of you on the Selection Process that I went through at IBS India. 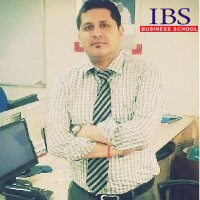 I joined the IBS Hyderabad in the year 2003 and let me share that the selection process at IBS is very fair but at the same time is equally challenging on the competitive front..
Before I share my experience on the selection process, let me give you a fair idea on how the whole IBS Selection Process starts and finish! 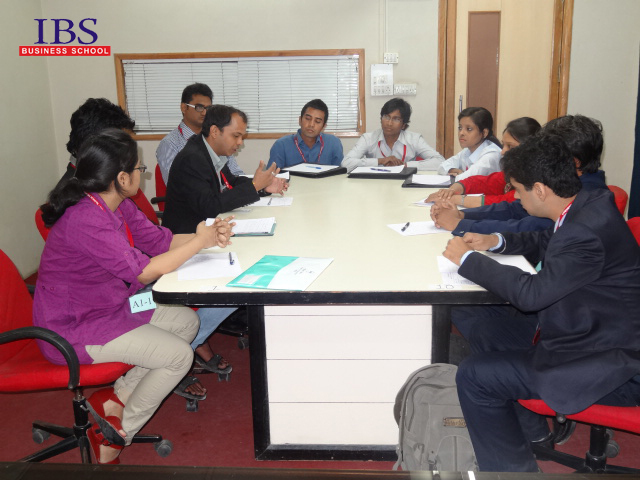 As per the Selection Procedure of IBSAT, the candidates would be selected for the final admission at the IBS Business School and ICFAI University campuses through the IBSAT exam scores, Group Discussion (GD) and Personal Interview (PI). In this topic I will jot down the four most important points based on my experience that will helps you sail through the Selection Process at IBS. Timing: Timing is very important aspect as far the SP concerns…You need to reach the venue well before the given time and register yourself at the Registration Counter. I have seen many students reaching late to the venue or getting the registration late due to some or the other reasons which in turn leads to the utter confusion for them and most of the students felt nervous and broke down before the most important SP. It‘s not correct if any student start feeling nervous or remains in hurry. You need to stay cool and should not lose control of the things due to the bad time management. Choosing the Appropriate Centre: While filling the forms I encountered a very critical question that ask you about your most preferential centres…Since I was from New Delhi and at that point of time IBS Hyderabad was the most sought after learning centre, so I choose IBS Hyderabad as my first choice and Gurgaon as second, Jaipur and Dehradun as third and fourth…Most of the students available at that point of time were filling Hyderabad as their first choice of learning centre..While I would not say that in today’s time the students will not put Hyderabad as the first choice but the times have change and all the 9 IBS Learning centres are providing world class education and amenities and state of the art infrastructure. You need to provide your list of the most preferential learning centres in your feedback form and you will be asked to provide 4-5 choices of learning centres…Before providing your list of the centres, I will advise each one of you to kindly visit the nearby IBS Centre and talk to the staff and students and take help from the seniors in order to choose your preference for the learning centres. Be as natural as possible. Do not try and be someone you are not. Brush up on your leadership skills; motivate the other members of the team to speak and listen to their views. Personal Interview: PI is the last step at your SP at IBS, there are no set timing for PI and a normal PI could take any time between 10 mins to 30 mins, PI is your last chance for getting the selection done at your favourite IBS Centre… You need to be very well prepared for your PI…The panel for the PI are truly the best among the lot and no one can take chance with this step of the SP…I was interviewed for almost 15 mins and the panel asked me the questions related to my Engineering subjects, the project done during the Engg, current affairs, Indian Politics and questions from various other subjects which I learned during my Engg course. You need to be hands on your graduate courses and read thoroughly about the projects done during the graduate course…do not leave any chance to Impress the panel with your sense of Humour and the communication skills…the PI Panel would not like to see you giving answers’ like you mugged them but present yourself in a very confident way!! Why do want to do an MBA? How does it fit into your career goals? What do you wish to do after your MBA?…These are some hard questions that you will have to answer almost invariably in all Interviews. These questions search the ‘inner motivations’ of a candidate, and there are no ‘right answers’. The only way to answer these questions is to introspect: what excites and motivates you; what makes you perform your best; what would you really like to do in your life, and how do you genuinely see an MBA helping. Tough questions, but answering them honestly is critical for your success! Given that a good MBA is a demanding programme, B-schools would like to know how you will be able to cope up with the academics and the extra-curricular 24 x 7 demands of your new campus. They are also keen to assess how you have utilized the earlier learning opportunities. Be prepared to discuss different specialty areas in business and their responsibilities. Interviewers will also expect you to discuss current issues in business, including the economy, taxation, foreign competition, the role of technology and ethical challenges in the field. Interestingly, it is not just about knowledge and answering the questions but also ‘leading’ the interview panel. Anything you say opens the doors to new lines of questioning and discussion, so make sure you know where you are leading the interview. Your speaking and listening skills become very important than the oft tested reading and writing skills. As simple as it may sound, good communication strategy is quite simple. Listen to the question keenly to understand it well, and then offer a precise answer. If you don’t know the answer, no bluffing the panel please! The experts are too experienced to notice this and can get switched off. To be honest, it is not possible to ‘prepare’ for an interview in a few weeks. Planning for an interview should ideally be a process that should begin as soon as you make up your mind to pursue management education. However, you should use the few weeks and months before the interview to revisit and update your knowledge base, and crystallize your reasoning and thinking process on your career and life goals. MBA programs are oversold by most of the B-schools. Commercialization of education has led to more & more confusion about – the career choices, the streams to specialize and to give pace to the professional skill set for gaining momentum. There might be tens of reasons which the B-schools try to sell their programs for ranging for hefty packages to corporate back-ups. There are also reasons slated as promising careers, quick recruitments as considered to the age old medical & engineering fields. But the question arises – are these reasons valid enough to be marked as the sustainable takeaway of business education? The reasons slated above are short-termed; there are no second thoughts that they are exciting and relevant to almost everyone who is ambitious enough and dreams of a career. They are in fact also valid for the parents – who most of the times assess a choice of career – as a return on investment nowadays, thanks to the institutes which charge a bomb for no value addition. Having said that, I would like to share what I felt shall be considered as the sustainable takeaways of management or B-school education. B-school education can work as the second best school for an individual after a parent. It helps you assess yourself, your skill-set, exposes you to the career options and establishes your preferences to learn & pursue a career. A good program equipped with extra-curricular and life-skills/behavioral coaching helps an individual in personal grooming, self understanding and improvising the personality as per the industry segment s/he choose to pursue a career into. Communication Skills – I would like to mention here is the foremost requirement for anyone in this world to excel in anything one does. At IBS, we were all privileged to have worked so much on the communication skills – oral or written, it works to the best for anyone & everyone. Most of you must be wondering on reading the heads above, how tolerance can be learned through a 2 year program? If the program design is good, the pedagogy is apt, you are sure to learn, improvise the decision making and tolerance skills. And this is one of the most significant take away of a b-school education. And the beauty is – this is not something which is taught, or could be understood through theorems but this is something which a student learns during the course of action for the 2 years. 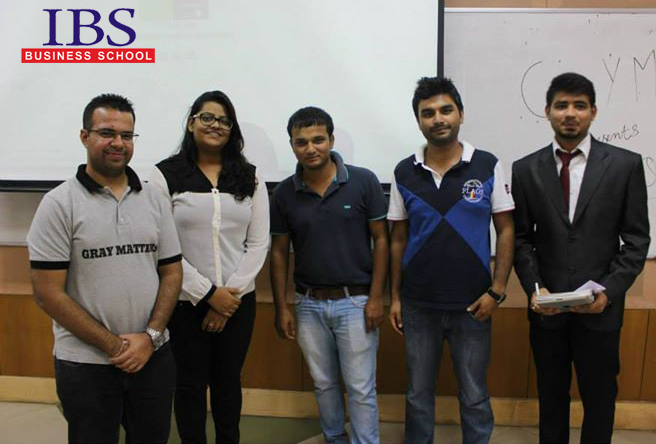 In IBS, they follow the Case Methodology which – in a unique way helped us all in thinking analytically, to derive logic and that is how business decisions happened to most of the students during the business strategy case studies. That is the effectiveness of a b-school education, a management program. Tolerance on the other hand – could be learned during the management festivals – which are the most amazing part of a b-school education. You read, gain knowledge, you participate and learn team work, you fight and learn competition, you excel and learn management. And during the entire gamut of learning – you become tolerant. You manage people, you handle situations, you adapt and hence you sustain. It is most sustainable trait of any individual to be able to work even when out of his/her comfort zone. Many of the students come directly from a family life- the pampered ones etc and with a management course this certainly isn’t an easy thing to do. But a B-school education promises the student to learn to work outside the comfort zone. Your internship projects, the assignments are all centered at polishing knowledge even when you learn in those situations. B-school education embarks on bonding together and learning together. The group dynamics and team skills can be best achieved in a b-school; provided it is a good B-school. You meet, connect and make lifelong relationships, several turn out of the power networked, few become co-founders. I know many of the likes, my friends which were then batch mates at IBS, Bangalore are partners in business now. And that is the reason, I feel the still to network and networks itself are a sustainable take away for anyone at any given point. Strong relationships foster strong businesses and create entrepreneurs. I have seen many – how about you? This might sound a little weird but cross cultural cohesion is certainly a sustainable takeaway from b-school education. One gets to meet people from all different & diverse family backgrounds, various geographic locations, different set of educational & professional backgrounds and learning happens. They learn together, live together and adapt to cosmopolitan practices and this works forever, this creates synergy. In corporate lives or in life as general, it helps if one is familiar to different cultures, well travelled and understands – the behaviors, insights and markets at large. And this is not something which could be taught in a book or explained in a class – this is learning my living. The rigorous courses and practices in a B-school help students find time & fine tune with the various cultures and this help them go further in life. This makes them a better Cross-functional professional and a great team player. It takes away the inhibitions based on caste, creed etc – it helps students broaden their vision & thinking and turns them into better human beings. All of the above are the bigger and better sustainable takeaways from an MBA course. The students in a B-school start thinking differently with a more holistic approach coupled with knowledge of all verticals of an organization. An MBA certainly opens up your mind to things happening around you – the best & the worst and it also empowers you to become the anchor of your life. What Books don’t teach but B-schools do ? Books may teach you about the business functions but they won’t teach how you can possibly they be a part of the functioning. Books may teach you about the business but it won’t teach you about its management. For the on-field knowledge about business, there’s B-school. Business Management is a craft. It’s based on experience. Then, there’s a component of art, of insight and creativity. It is not a science but it uses science. B-schools teach analysis, teach the functions: marketing, finance, accounting – in terms of theories and cases. B-schools introduce you to the world of business, to the customer, to the people; B-schools teach you the practicality of business industry unlike the bookish theory. Let’s find out. In the world of ‘I, Me, Myself’, B-schools teach you to give importance to the ‘we’ world i.e., teamwork. At the beginning of the year, they ask you to create a team of 3-4 participants that will give back records. On most occasions, teams are formed by the MBA Program itself and include people of diverse backgrounds and interests. The idea is that through teamwork and interaction, MBA participants will share their experience to provide a more global view. In an open and flexible environment, academic excellence and practical experience, the content of the curriculum in an MBA program is balanced between formal business education and real-life problem solving. It is a mix of teamwork with competition and teaches the skill that will enable the students to grasp new ideas and seize new opportunities. 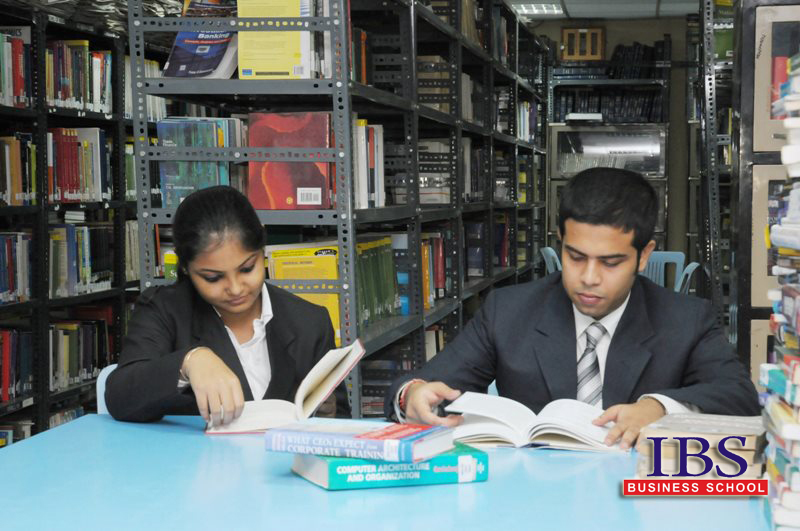 MBA program combine the theoretical and practical approach. The practical approach relies on real-life business cases, the IBS case study approach is unique and one of a kind and allows the student to understand management & businesses better. The theoretical basis relies on seminars and lectures which are equally significant but cannot be utilized without application. The faculty members at MBA program usually have a PhD or experience with a top management level providing a high level of education to the students. From consultation to top companies to applying academic theory and the practical lessons they learned in the management ranks, they have done it all. It’s like taking lessons from the people who have gone to the battle field and conquered it all. Furthermore, there are more and more guest speakers who come to class and bring a practical point of view to the courses taught by faculty members. MBA program offer elective subjects through which students can adapt the course to their practical needs. The student who is interested in a career in finance may focus on electives in the field of finance, the one who intends to start up his own business may focus on small business management or the one who wants to be into HR management can pick management of human resources. Not only the choice of subjects, the program also offers relevant expertise & experience through – internships & projects in their chosen area of preferred careers. English – Get a grip of this global language, Being an international management degree and originating from the United States, MBA is usually taught in English. This opens the channel for working in the global markets. Right from educating the industry terminology to sharpening the intercommunication skills, you can master the language and its benefits to apply in your career for years to come. 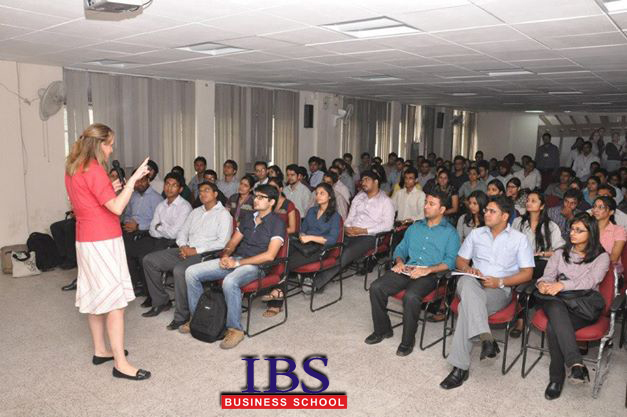 Not only language MBA @ IBS includes Soft-skills with equal credits as the electives. 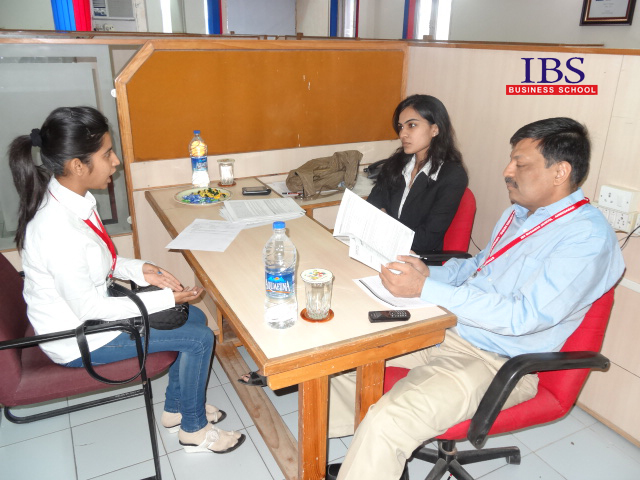 A student at IBS receives proper soft-skills grooming & training on language, management skills and people skills. Books are there to mug up the theory but practice of those theories is necessary to implement the knowledge gained. In order to develop a more practical understanding of business, MBA Programs have developed compulsory industry projects, internships that are part of the curriculum and grading as well. Apart from providing good education, discipline, ethical and moral values, MBA teaches social responsibility to the students. Some MBA schools have special focus on the rural development and they teach as well as take many initiatives to work towards it. A simple contribution like clothes donation to a noble task of teaching the unprivileged, every activity aims in rural and social development. Educating an emerging subject like this goes on to prove that management education is a constantly evolving subject. Technology has helped us traverse not only to space, moon but to a neighboring planet as well. It is this technology that transforms dreams to reality. When it comes to MBA program, they tend to offer the highest possible level of service to their students, including: IT classrooms, completely wired buildings, the most up-to-date information technologies, large libraries, all sorts of business databases etc. This in return makes the students more tech-friendly. Whenever there have been changes in business practices such as globalization and the development of new technology, MBA program have also gone through content and program changes. As a result of these changes, new subjects have appeared such as international finance, supply chain management, total quality management, e-commerce and information technology. New disciplines have also been introduced such as politics, religion, history, ethics and communication. So MBA always teaches us the sense of evolution. Now, all these are not complied as one chapter of the book though. In the first year of an MBA program, the students learn the core disciplines of management education and then go on for specializations. Initially, emphasis is put on the fundamental subjects such as principles of management education, the basic concepts are taught in the first year of the MBA program, it develops an all round perspective of the student. In the second year, students can opt for specialization in selected areas of management. The second year of elective papers gives a student a good understanding in one particular area and provides them with good exposure to practical work also. We recommend Books for always but an MBA Program can possibly change what you can extract out of those books. What do students learn from internship? The custom of pursuing internships in different industries has been for many years now. Apprenticeships or on-the-job training are tried and true methods of mentoring and teaching students or workers a new trade or profession. Few courses have made it a mandate whereas some take it by choice to get a closer look of the industry they see them in the near future. The college students participating in internship opportunities continue to grow as more and more employers expect graduates to have real world experience. The main purpose of an Internship is to provide a meaningful learning experience for the students. It’s not a cake walk all the time because the work allotted to you can be very basic, but the things that you are going to observe or learn can be meaningful and will help you understand the job, profession, or field. An internship may take place during the academic year (if it’s a mandate for your course) or you may even apply for an internship after graduation (your personal choice).Internships may not be paid or may not receive academic credit but if you take home the right knowledge, the experience will prove to be priceless in your professional life. And here at IBS, Internships hold academic credit and many a times have proved significant & decisive move in the final placements of students as well. If your course comes with an Internship ‘must-have’, then expect to get a sorted list at the placement office or at specific department where you can possibly apply. Perhaps the most direct way for students to learn about internships is through the college Internship & Placement Office. Your college can also help students with cover letters, resumes, interviewing skills, and workplace expectations. For students who want to pursue it personally after graduation (those who take it up realize the edge during MBA) or during the MBA Program, can research online or may get in touch with family or friends who are in the same field. Now an intern should be ready for all sort of odd errands. That’s the ground level where employers expect you to grow from without complaining. From data entry to fixing appointments for seniors, from filing to taking photo copies, all these will come your way. Expect that! Now, they may overload you with gibberish work at times but they expect you to be proactive. Ask for work, question when you have doubt, do research about the company profile, show interest in attending meetings. If people see the interest in you, they will give you real work. But be sure to initially ask your supervisor for work and not the company owner. Now, the industry that you are interning now with may be the enter point of your career, so there’s no harm if you socialize a bit with your coworkers. Talk to them, ask them how they got to where they are, pull out contacts, and find out who they know in the industry. A little chit chat could just land you a job as soon as you pass out. It’s not just an internship; it gives you a real picture. It makes you realize whether you are ready to step in to the corporate life in the coming days. It helps you evaluate what you have learnt and what you need to learn more. You may want to take up a second internship or a third one, that’s ok as long as you make the best of every one of it. Now internship isn’t only for graduates, it is also for the students pursuing MBA degree from the most prestigious business school. The skills you learnt in the classroom don’t have any importance if you don’t find its application in the real world of business. As a result, the value of vocational experience for MBA students and recent graduates cannot be emphasized enough. For the majority of graduating MBAs, internships provide the chance to develop industry-specific abilities; develop strong teamwork skills, interpersonal skills; increase the likelihood of building professional networking contacts, mentoring relationships and so on. Of course there is no guarantee that an MBA internship will give students a full time position but it will certainly enhance their chances as it will help them become viable, experienced job applicants when they are seeking employment after graduation. But point to be noted, many employers do consider internship experience in the hiring process, and many look to their own interns as the best potential candidates for full-time positions. Are they really that important? Here’s a clearer picture of why participating in an internship is an important experience to complement the learning you are doing in the classroom. An internship can serve as a screening device for employers. Also, many employers hire employees from their own internship program. An internship gives a student an opportunity to test a job or a field before taking a permanent position. Students who complete internships may discover gaps in their practical knowledge and they can fill in those gaps before they graduate. Another important take is that an internship looks good on a resume and employers are increasingly expecting to see an internship on a student’s resume. An internship in the resume builds the confidence in employers mind to hire the student because it increases job retention. They know that interns have experienced the profession and the work world. It may work as a deciding factor whether to take up that particular industry or thrive for a different one. Students who complete internships may receive higher salaries when they are hired. Very simply, an internship may lead directly to a job offer. Internships are fun – and great self-confidence builders. Both future and current students are thus advised to start thinking about which companies will best help to take their careers forward.